What takes 9 months to grow and deliver? Right! 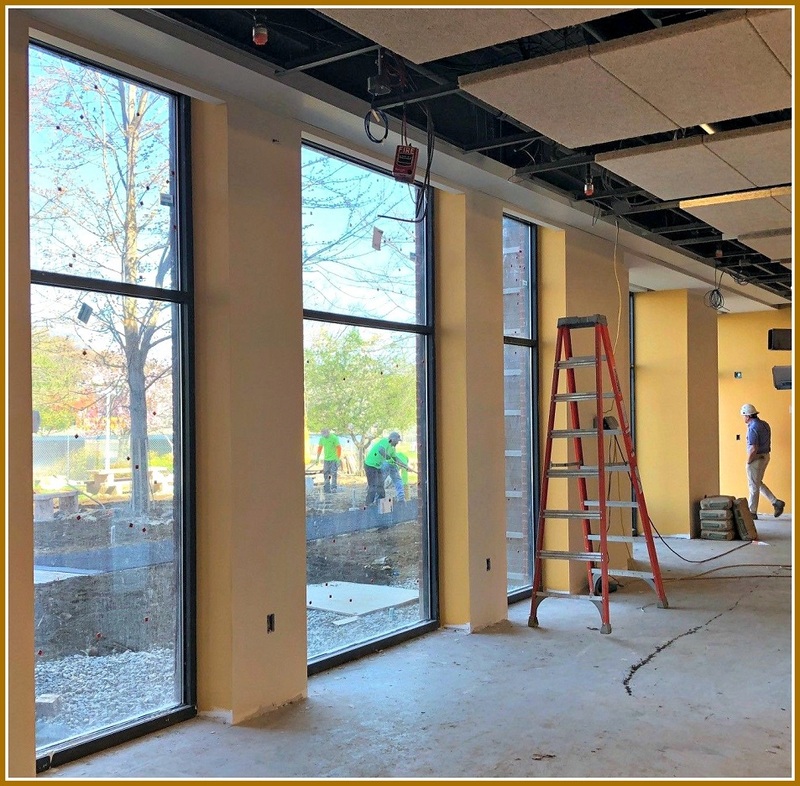 The Westport Library’s Transformation Project! 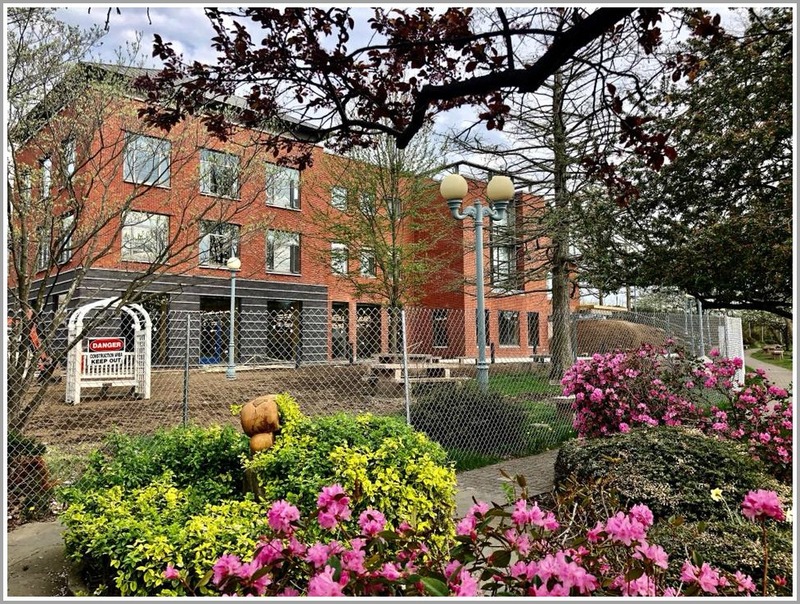 Nine months after breaking ground, Phase I of the long-awaited project is set to end. On June 4, the new Riverwalk level and “interim library” opens to the public. Final construction ends next year — closer to elephant gestation time than human — but the first phase offers a great preview of the stunning views, latest technology, new rooms and quiet spaces that will be key elements of the finished project. During Phase II, the library collection will be available on the Riverwalk level. Construction on the main and upper levels — including the new, flexible Forum and reimagined children’s space — is expected to take 10 months. Reference, circulation, inter-library loans and other services will continue to be available. Program space will be limited though, so in addition to the library, events will be hosted at the Westport Weston Family Y, Suzuki Music School, Saugatuck and Christ & Holy Trinity Churches, Conservative Synagogue, Beit Chaverim, Westport Woman’s Club, Earthplace, police headquarters, Westport Historical Society, Senior Center, Town Hall and elsewhere. Teen and adult book collections will be temporarily unavailable from May 14 until they are moved to the Riverwalk. Children’s books, the audio-visual collection and new releases are unaffected. The library will close from May 23 through June 3 to transfer material, move technology and do other work. The good news: No fines will be levied during those 11 days. Meanwhile — despite construction — there’s always something special going on at the library. The other day, director Bill Harmer gave an informal tour of the project. 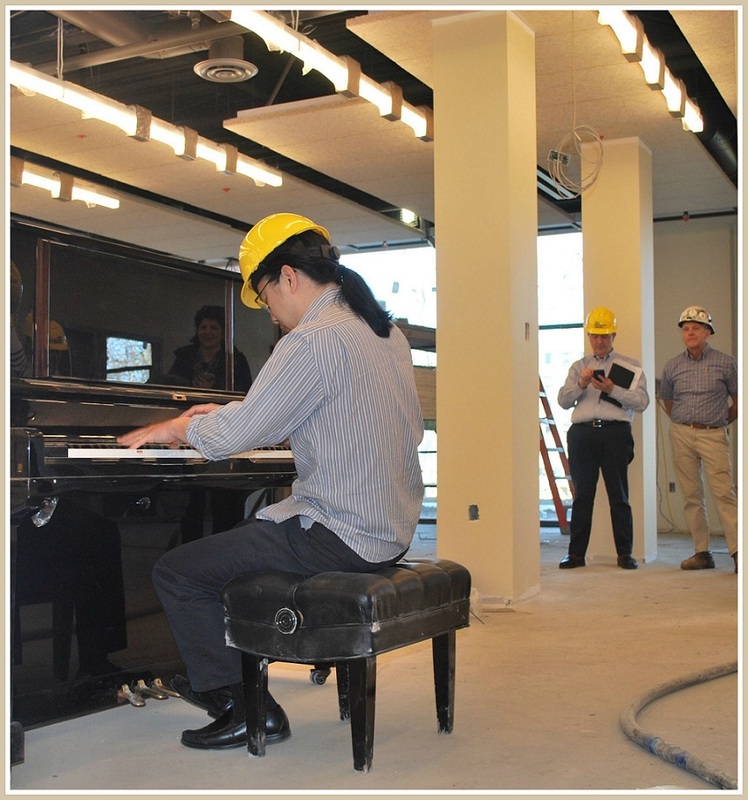 Internationally acclaimed pianist — and longtime library supporter — Frederic Frederic Chiu got a look at the new space. Wearing, of course, his mandatory hard hat. 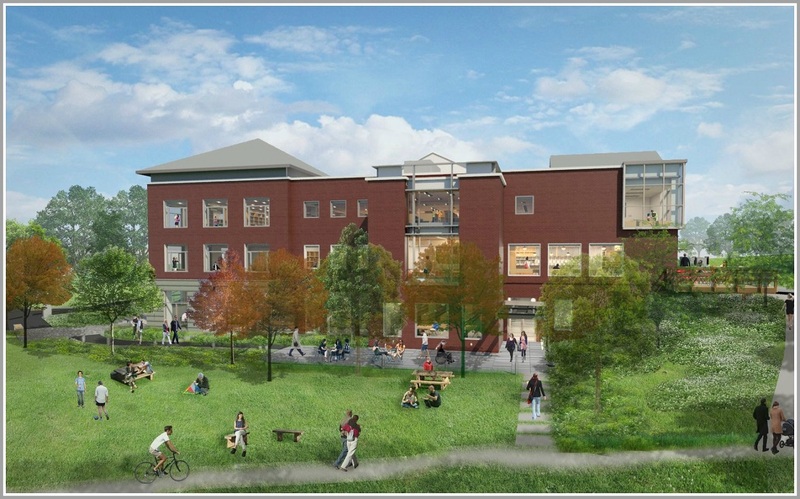 (NOTE: The library has raised 88% of the funds needed to complete the project. To help reach 100%, click here. For schedules and events, click here. This entry was posted in Library and tagged Westport Library Transformation Project. Bookmark the permalink.